Jumpstart Test Prep Advisory Committee members collaborate by providing their evaluation and expert recommendations as we build and refine our test prep curriculum. We are honored by your support and deserve our deepest gratitude! Ben received his Bachelor of Science in mathematics, Master of Secondary Education with an emphasis in mathematics, and his Ph.D. in educational administration from the University of Southern Mississippi. 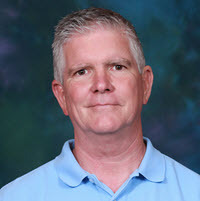 Ben began his educational career as a mathematics teacher in Hazlehurst, MS and continued to teach mathematics at Pearl River Central High School. 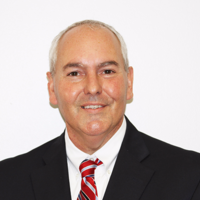 He served as assistant principal at Pearl River Central High School and principal at North Pike High School. Ben served as superintendent from 2000 through 2016, for the North Pike School District and the Brookhaven School District. Ben has taught graduate-level classes for the University of Southern Mississippi and William Carey College as well as served on several educational boards including serving as President of Mississippi Professional Educators and President of the Mississippi Association of School Superintendents.Currently, Ben serves as a staff member of S-RESA, an educational service agency based at the University of Southern Mississippi. 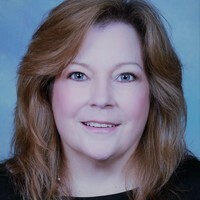 Lesa earned both her BS degree in English and her MEd in secondary education from the University of Southern Mississippi. 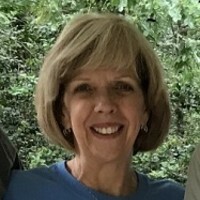 She has taught high school English full time for twenty-two years, currently teaching English 11 and an ACT Prep elective at Hoover High School in Hoover, Alabama. For several years while her three boys were young, she taught as an adjunct faculty member at William Carey College and at her alma mater, USM. Lesa first received her National Board Certification in 2007 and recently earned certification renewal. Lesa has a heart for helping students improve ACT scores--the catalyst for her proposing and designing the ACT Prep elective at Hoover High School. The results have been rewarding, with one of her students recently achieving a 36 score on the English section of the ACT exam!. As Workforce Center Director at Copiah-Lincoln Community College, Angela and her team serve Co-Lin’s seven county district industries and individuals. Workforce’s goal is to train our current workforce as well as individuals needing short-term career skills. She works closely with other Co-Lin staff, area economic developers and stakeholders to educate industries about the Workforce Education Center and the ACT Work Ready Community Initiative. Angela has worked at Co-Lin since 2008. Before becoming Workforce Center Director in 2012, she was a Workforce Development Coordinator. Prior to Co-Lin, her administrative career was with various state agencies, non-profits and the private sector. Angela has also served as the President of the MS Workforce Directors’ Association, President of Co-Lin’s Alumni Association and as a Board Member for the Co-Lin Band/Colette Alumni Chapter. After graduating from Co-Lin, Angela received her Bachelor of Science from Mississippi State University and her Master of Business Administration from Mississippi College. In 2014, she completed the Mississippi Community College Leadership Academy, earned her Federal Grants Management Certificate from Management Concepts and is a State of Mississippi Certified Public Manager. Kenny is currently employed at Copiah-Lincoln Community College as the TAACCCT Program Coordinator for the Round 4 Department of Labor Transportation Grant; he will soon be transitioning to a new role as the Registered Apprenticeship Business Specialist. Recently, he spearheaded a team to create an ACT Work Ready Community initiative and through these efforts, Lincoln County became the second county in Mississippi to become certified as a Work Ready Community. He is currently striving to create a Certified Work Ready region in the seven counties of the Co-Lin Community College district. He also works with business and industry partnerships to support Career and Technical Education programs at Co-Lin. Kenny was the program manager for the Mississippi Economic Council where he was responsible for the promotion of the Mississippi Scholars Tech Masters program. Through his efforts 60 new participants were recruited into the program. Kenny has also chaired the Brookhaven-Lincoln County Mississippi Scholars program; which is the most successful Mississippi Scholars program in the State. In 2014, Kenny retired from Entergy as the Customer Account Manager where he focused on customer service, clear communication skills, conflict resolution, and timely and effective response to customer needs. He is a gifted motivational speaker and has made presentations to various civic groups, and other organizations including the Community College Board, Construction Education Foundation, and the Association for Career and Technical Education. He continues to be actively involved in many community and economic development projects in the Copiah Lincoln Community College district.